While the unemployment rate has been falling sharply in the last four years, the overall EPOP has moved much less, having risen by just 1.1 percentage points from its low point in 2011. 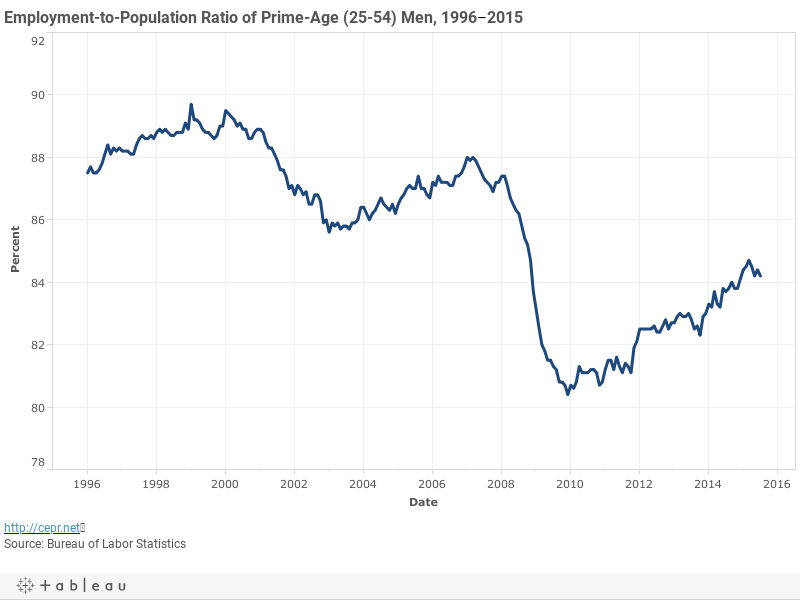 Only a small portion of the drop in the overall EPOP can be explained by demographics as the EPOP for prime-age men (ages 25-54), shown below, is still down by almost three percentage points from its pre-recession level. This is almost certainly an indication of ongoing weakness in the labor market.